When getting a new car insurance quote (or revisiting your current policy coverage), it might be tempting to choose coverage levels that result in the lowest monthly bill. But if paying for insurance equates to paying for peace of mind, it might be worth it in the long term to add additional protection. Read on for a breakdown of various coverage options and how to choose the right levels for your needs. This is the minimum coverage level required for most U.S. drivers. If you are at-fault in an accident, your insurance policy will cover vehicle damage and/or bodily injuries to the other party (at the levels you choose). Each state has minimum required liability limits, but you might consider purchasing a policy with higher limits to ensure you’re better protected, even if your policy might cost a bit more. If the damage caused in an accident exceeds your coverage limits, you could be held responsible for the remainder of the costs. In addition to liability coverage, you can elect to add comprehensive and/or collision coverage, often known as “full coverage.” Comp and collision coverages are technically separate but are often discussed together. With collision coverage, in the event that you’re in an accident, your insurance policy will cover damage to your car (per the terms of the policy). Comprehensive coverage means you are covered if anything happens to your car where no one is at fault (per the terms of the policy) like a tree falls on it or there is weather damage. If you often park your car outside, this could be an important add-on to your policy. Keep in mind that the lower the deductible you choose, the higher the premium might be, but also the less you will have to pay if something happens. PIP will protect you (and your passengers) against personal injury by covering medical expenses. In some states, PIP is a “no fault” coverage which means that you will still be covered even if you are determined to be at fault. Note that PIP coverage varies based on state, and if it isn’t available, then you’ll likely have the option to choose Medical Payments coverage. Both PIP and Medical Payments coverage are similar, though PIP typically provides a much broader spectrum of coverage. Medical Payments usually covers only medical bills for you and your passengers, whereas PIP will often extend to cover additional things like income loss, funeral expenses and essential services. In addition to getting access to an on-call tow truck, roadside assistance can also provide you with flat tire changes, battery jump starts, locksmith services and more. If you love road trips, this might be a smart coverage for you! At Metromile, adding roadside assistance is typically much cheaper than using an external company like AAA. If you don’t drive much, we’ve found that customers are saving a ton of money after switching to pay-per-mile insurance. That means that you can get all of the coverage needed to give you peace-of-mind, and still save money. To see how much you could save, get a quick quote now. By now, you may have heard of the Pay-Per-Mile insurance Metromile offers. To put it simply, the less you drive, the more you could save. We are the only ones who offer this product in the USA (currently in 4 states)! We only measure mileage, not driving behavior (like how hard you brake). Since launching in California, we’ve gotten many questions about per-mile insurance. We wanted to share some of our most common questions because chances are, you may be wondering the same thing. How much money will I save with per-mile insurance? On average, our customers are saving up to $500 per year. You can even calculate your potential savings within our app itself; just find “Insurance Savings” on the left-side menu. Visit our page and answer a few questions about yourself and your car. You will immediately be able to see a preliminary quote and use the savings calculator to see how much money you could save in a year. Can I choose my coverage? Yes! Just like with the insurance you have now, you can choose your deductible amount and liability protection. If you don’t need comprehensive or collision insurance, just set the deductible to “no coverage”. Use the slider to choose between different liability protection packages and see the monthly base rate as well as per-mile charge adjust. What does per-mile insurance cover? Metromile covers you just like any other car insurance. We offer full coverage including comprehensive & collision (the damage that occurs to your car). To cover property damage and injury to others, you can choose bodily injury liability limits of up to $250,000/$500,000. The monthly base rate varies based on the number of days in the month and how much you drive. You also aren’t charged for the miles you drive over 150 a day (250 in Washington). Starting with your second bill, the per-mile charges for the previous month are added to your bill. Do I need to install the app before I get the insurance? No, you don’t actually need our app in order to have the insurance. The app is one of two ‘portals’, if you will, to see your data, which we visualize for you in pretty graphs and charts. The other way to see your data is via the online dashboard (just log-in at metromile.com). How long do I need to drive around after I get the app to make sure I’ll stay under 10K miles per year? No need to wait! As mentioned above, the app is separate from the insurance. You are the best person to assess how many miles you will drive per year. We have a feature in our iOS app that can help you estimate savings, but you don’t need to wait at all after installing the app in order to get the insurance. Does my monthly base rate ever change? Your quoted policy lasts for six months. After that time, your monthly rate will be re-evaluated at renewal. Several factors can affect your rate, like citations and violations. How do I pay my Metromile insurance? The amount due is automatically billed each month to the debit / credit card that you provide during sign-up. We make it easy for you to update your billing information anytime. Just edit on your online dashboard. What other benefits are included with Metromile insurance? Roadside assistance and rental car reimbursement are both included with our full comprehensive and collision coverage. What if I decide I to sell my car or realize that I need to drive it much more often than I originally planned? We understand that the adventure of life includes change – maybe you’ll decide to not have a car anymore, or you may have a new commute that requires putting more miles on the road. We realize that per-mile insurance may not work financially for you all the time. We just hope it becomes a considered option if it fits well with your lifestyle. 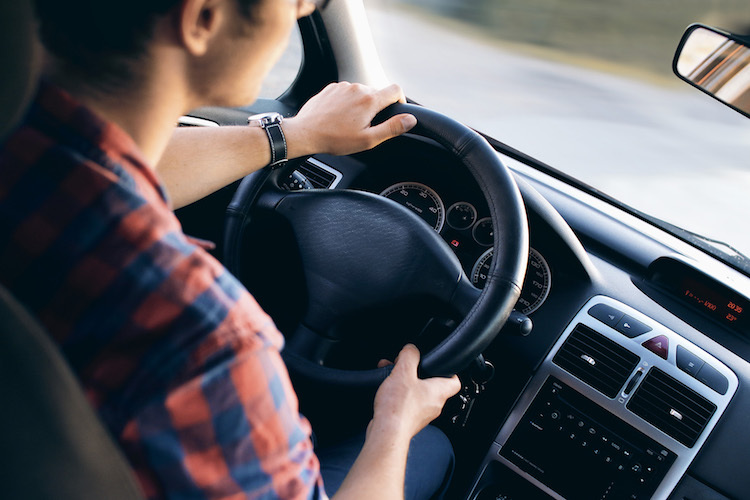 If you think per-mile insurance could help you save each month, request your free quote today and see how much extra savings you could pocket!